At Ortega’s, our experts are your experts. They’re also people we’d like you to know – or we think you’d like to know. Meet our Ortega’s Appliance service team! 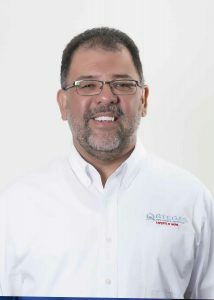 Manny founded Ortega’s Appliance Service in 1993. He later purchased GO Appliance from his dad in 1998 and at that time created “Ortega’s Appliance Service, Inc.”. Manny grew up learning the appliance repair business from his father. He not only learned the business from his parents but also the value of a strong ethical foundation in all areas of life. His ambition has helped him to become a leader in the industry. Manny’s passion outside of all things appliances is pursuing and enjoying racing events with his son, Derrik. Annette has been married to Manny for over 25 years. 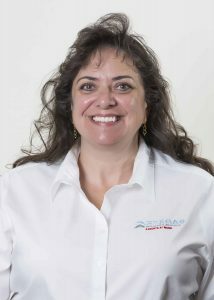 As a partner in the Ortega’s Appliance Service business she supports many operational and HR activities. In her spare time, Annette maintains her career as a nurse. Besides her love and dedication to her family, Annette enjoys traveling to watch her son race, spending time with friends and enjoying her home with its flower gardens. Derrik is the third generation Ortega to be working in appliance repair. He was, at one time, one of the Appliance Techs and is now working as a Mechanical Engineer at Sandia National Labs. Of course it’s possible you may still see him pinch hit for his dad, Manny. When not working, he can be found on race tracks across the country working on or driving his race car. 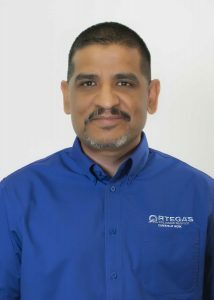 As a valued employee, Stanley has been with Ortega’s Appliance Service since 1996. He loves establishing new relationships with customers and nurturing long-standing relationships. Stanley indulges his creative side when not repairing appliances by working as a screenwriter and filmmaker which he’s been doing for 10 years. Jay has been working in appliance repair for over 16 years. 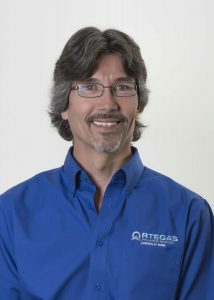 In 2006, he moved from Southern California to Albuquerque and has been with Ortega’s since 2013. He loves coaching youth baseball and softball, and has coached his two daughters and son. 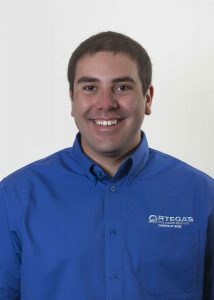 Jay’s dedication to his family and his career in appliance repair is welcomed by the Ortega Team. Joe has more than 28 years of experience in appliance repair and prides himself on being able to work on almost any appliance. He started learning the trade from his father when he was 17 years old. Joe has been in Albuquerque for 8 years with his wonderful wife and three children. 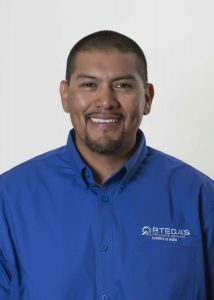 He started with Ortega’s Appliance Service in 2012 and believes hard work beats talent if talent doesn’t practice and the right attitude is the key to success. Joe’s talents include singing karaoke and home improvement but he loves fast cars. 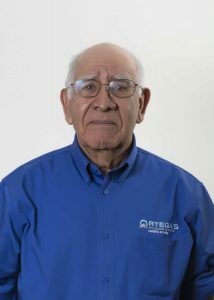 Manuel Ortega, Senior founded Ortega’s in June of 1975. He worked as an individual operator/owner of the appliance repair business named “GO Appliance” at that time. Manny has often cited his dad for teaching him to “Never ask an employee to do something you would not do yourself”, and his parents for teaching him to “Always do the right thing”. Longevity and commitment to the community is a central tenet of the Ortega family, and it all began with Manuel.